1958년 인천 출생. 베를린공대와 동대학원 졸업. 현재 한국방송통신대 교수 (과학사·화학), 파시브하우스디자인연구소장. 저서로 『에너지 대안을 찾아서』 『석유시대 언제까지 갈 것인가』 『에너지 전환의 현장을 찾아서』 『교양환경론』(공저), 역서로 『하이젠베르크』 『기술의 역사』 『지구환경정치학』 등이 있음. Born in 1957 in Incheon, Lee Pil-ryol studied chemistry and the history of science (BS, MS, and Ph D) at the Technische Universitat Berlin. 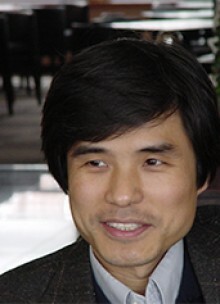 Currently a professor at the Korea National Open University, he has authored: In Search of Energy Alternatives and In Search of the Sites of Energy Conversion(2001); co-authored An Introduction to Environment Studies; and translated into Korean Armin Hermann’s Heisenberg and Friedrich Klemm’s Geschichte der Technik.